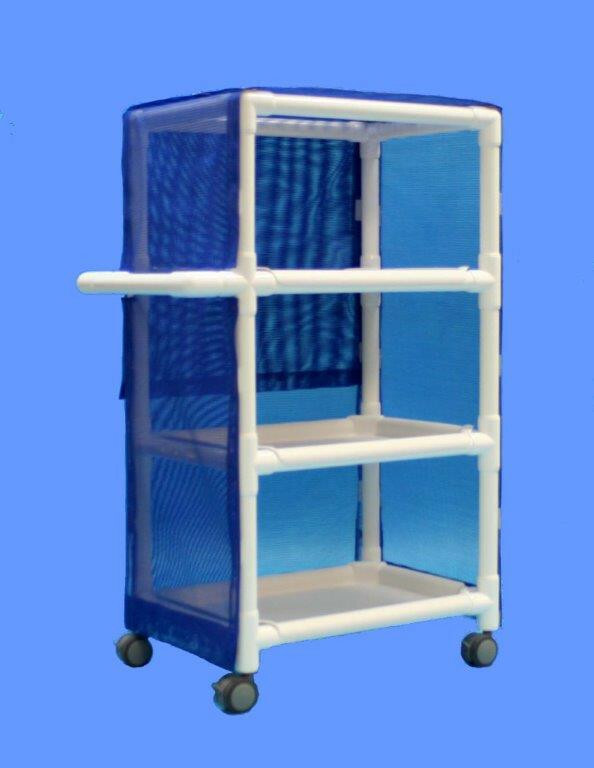 The Linen Cart 3 Shelf, by Aqua Creek Products, keeps your poolside organized with rust and stain resistant health-care-grade PVC. The sturdy frame supports large, recessed, clip-on shelves for all your storage needs. 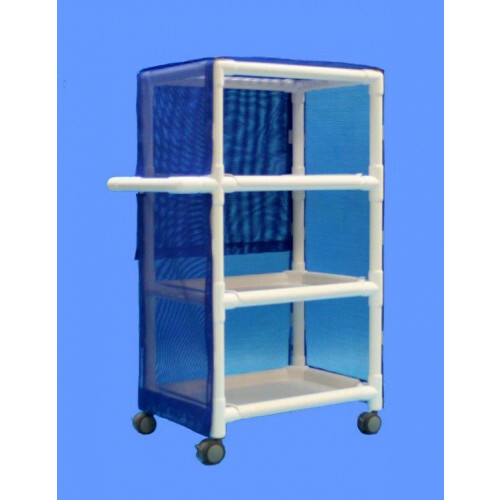 The linen shelf maneuvers easily atop twin wheel casters. Covers open all around to make for easy loading and unloading. Clip-On Shelves are Easy to Remove and Clean.